The Goldin Institute recently brought together community leaders with key figures at a range of Chicago area civic institutions to gear up for the Chicago Peace Fellows, a joint initiative with the Conant Family Foundation and other philanthropies that will be the first domestic application of the GATHER curriculum and software, our tablet-based, capacity-building program for grassroots community leaders. After yet another year where violence shattered too many of Chicago’s families, some of the city’s best minds talked over two dinners in December and January how technology, policy and communication can all be tools to empower those who are on the front lines of trying to mitigate, obviate and devise alternatives to terminate the violence. These civic leaders are helping to inform the curriculum that is based on the insights and aspirations of community leaders at the forefront of violence prevention in the city. In coming weeks, the Goldin Institute will begin an intensive recruitment and application process to select the first class of Peace Fellows who will all be drawn from the grantees of the Chicago Fund for Safe & Peaceful Communities, a special grant opportunity which has drawn together the largest and most prestigious philanthropies in the city. The voices of youths and young adults who are both the victims and perpetrators of violence are not included sufficiently in conversations about how grants are allocated, she elaborated. 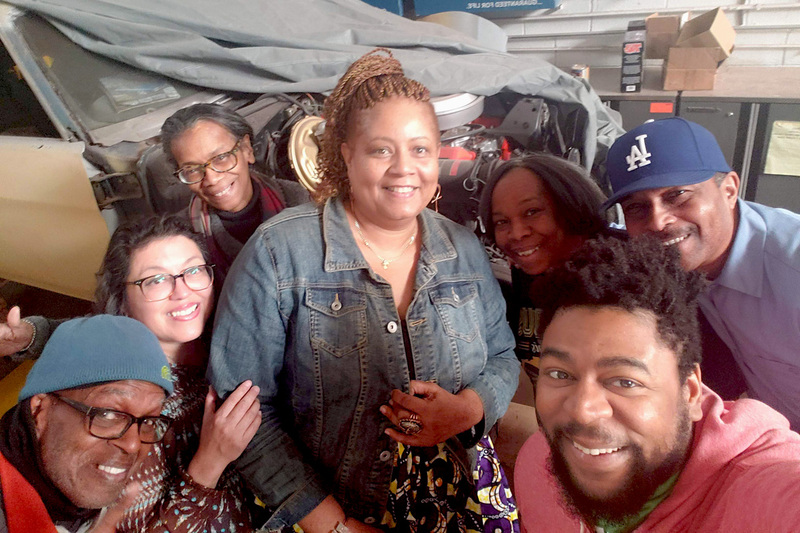 While many grants are won by small, grassroots operations, the dollar amounts are modest and these groups remain desperate for financial support. On the other hand, large, well-established non-profit organizations have a significant competitive advantage. Dan Lurie, senior fellow and director of the Chicago office of the New America Foundation, agreed with Justice about the need to support grassroots operations, adding that while the dollar amounts of grants awarded under the Safe & Peaceful Communities Fund were too small to dramatically reduce the level of violence in the city, a strategic approach could leverage government agencies, in particular, to play a larger role. Jose Rico, a political activist and aldermanic candidate, pointed out that the enormous sums spent on criminal justice and incarceration dwarf the amounts spent on education, prevention and alternative activities. Robin Robinson, a longtime Chicago television news anchor who is currently a special adviser to Chicago Police Superintendent Eddie Johnson, added that race and racism must be included in discussions of how to stop the violence in the city. At the second dinner in January, participants discussed the role hospitals and research institutions could play as well as how the collateral effects of violence radiate throughout the community. Daniel Cooper, author of The War on Neighborhoods: Policing, Prison, and Punishment in a Divided City and Director of Research at the Metropolitan Planning Council said that while good research was essential, it had to be shared with the communities who were being researched: “With that data, there is a great deal of responsibility to use it to be uplifting to community members and to be as transparent as possible. Leif Elsmo, executive director of Community and External Affairs at the University of Chicago Hospitals, discussed his institution’s recent experience with opening a trauma center, noting that they had discovered that the emergency room was an opportune location for intervention. Nedra Sims Fears, executive director of the Greater Chatham Initiative, noted that the financial burdens of the criminal justice system fall disproportionately on the women who live in the same communities where incidents of crime and violence are highest. She described a neighbor who mortgaged her home to pay for a lawyer representing her son in a criminal case and then explained how her own family spent thousands of dollars to house a nephew who had been released from prison. Eddie Bocanegra, a senior director at the Heartland Alliance who was both the perpetrator and victim of violence and was incarcerated, said that he grew up in the Little Village neighborhood during the years Chicago suffered more than 1,000 homicides each year, but had a close, loving family who welcomed him back into the fold when he completed his term in the penitentiary. 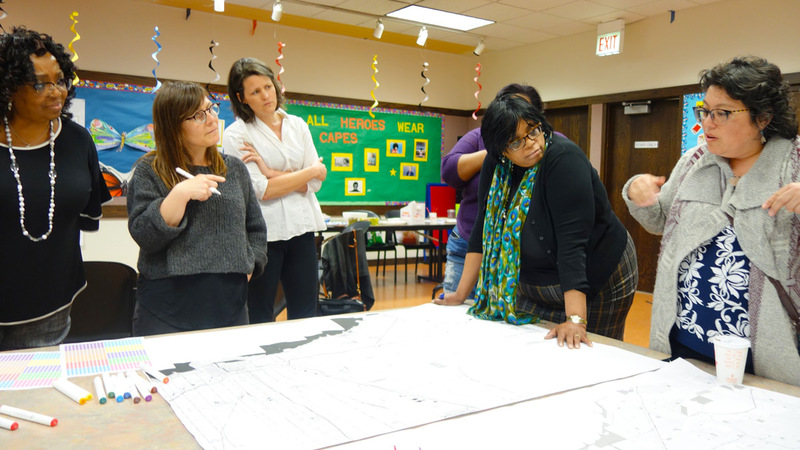 Chicago Peace Fellows share maps of their neighborhoods that highlight what's working and begin to create a shared asset map of Chicago. 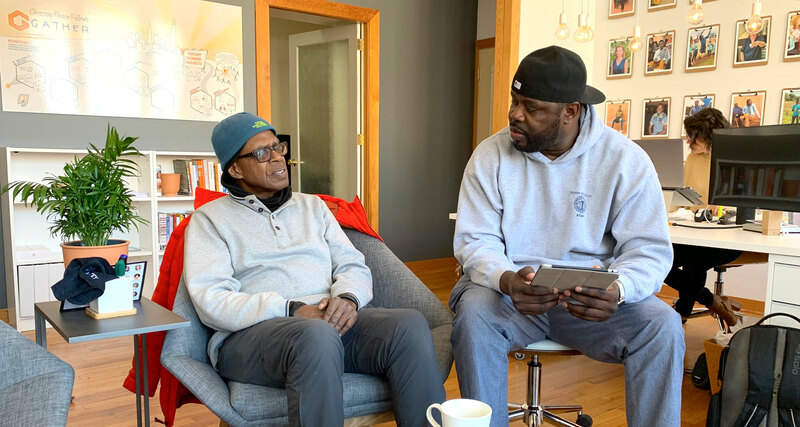 Dr. Sokoni Karanja shares his thoughts as a Chicago Peace Fellow about the program and his connections with the other Fellows. Alex Levesque at the Automotive Mentoring Group hosts his peer Chicago Peace Fellows to determine the principles and practices that empower shared learning. 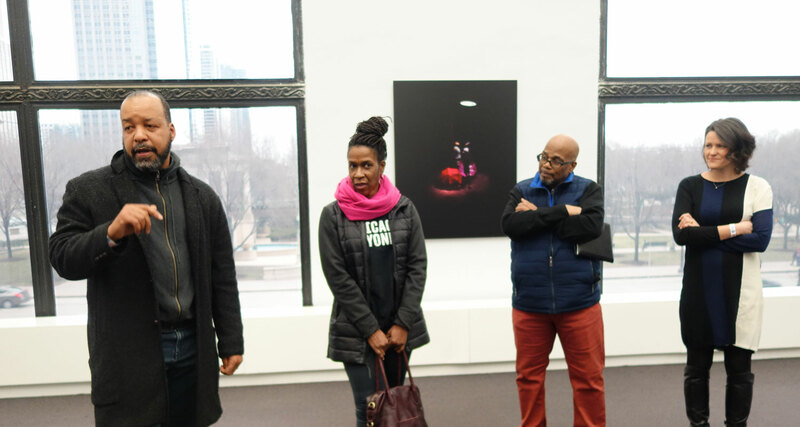 Chicago artists and social change leaders Tonika Johnson, Jane Saks, Rahmaan Statik and Cecil McDonald host a workshop entitled "Illuminating Perspectives: The Role of the Arts in Social Change" about the intersections between art and social justice for the Chicago Peace Fellows.